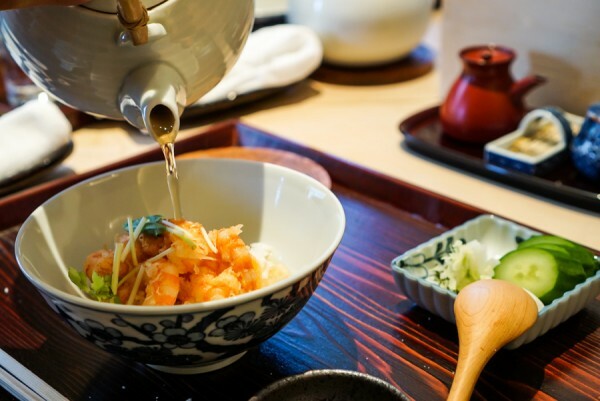 Japan is a food lover’s paradise and Tokyo truly reigns supreme when it comes to culinary excellence. On our first trip to Japan, we spent a week seeking budget-conscious meals which, for a city known for flash and bling, was surprisingly not as difficult as we initially thought. 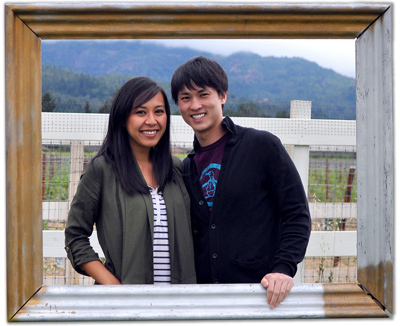 This past Fall, we just couldn’t resist coming back on an extended four day layover from our trip to the Philippines. What can I say, we had to indulge in more than affordable eats this time around. 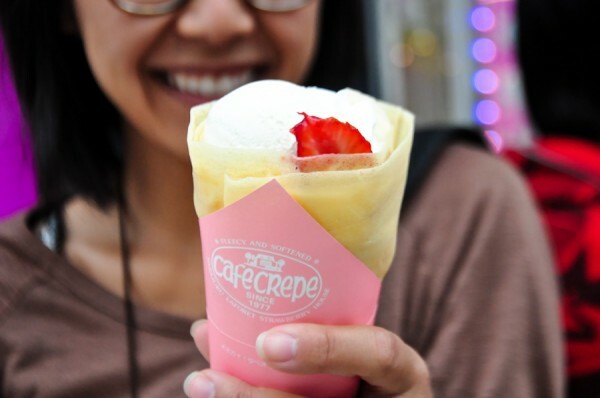 Here is our updated list of our favorite eats in Tokyo from both trips! The standing is what’s makes this place stand out. That and their sushi, of course.We loved it so much, it was #1 on our hit list when we came back. 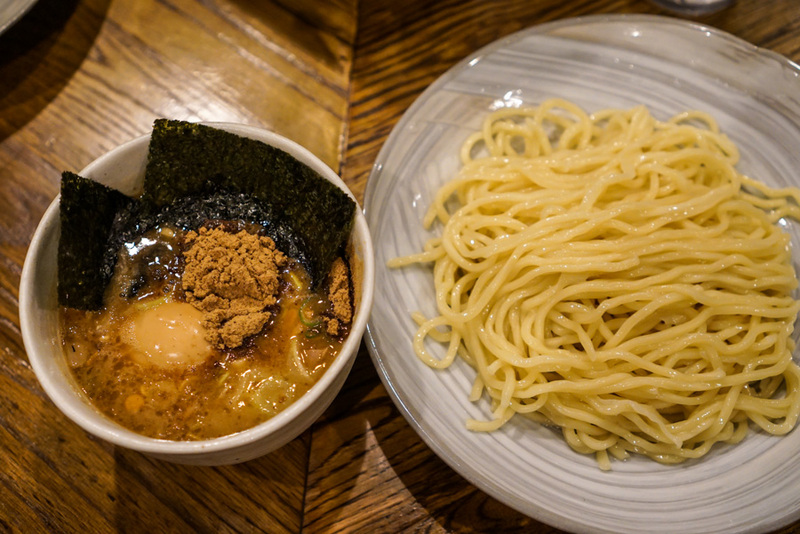 The Ginza locations were closed but that did not stop of from finding one in Shinjuku. It’s smaller than Shibuya where we experience our very first Standing Sushi Bar, but just as delicious as we remembered. This is the one place we recommend to everyone — bang for your buck and absolutely satisfying, far better than the overrated Sushi Zanmai chains. Kaisen Misaki-ko, chain available throughout city. 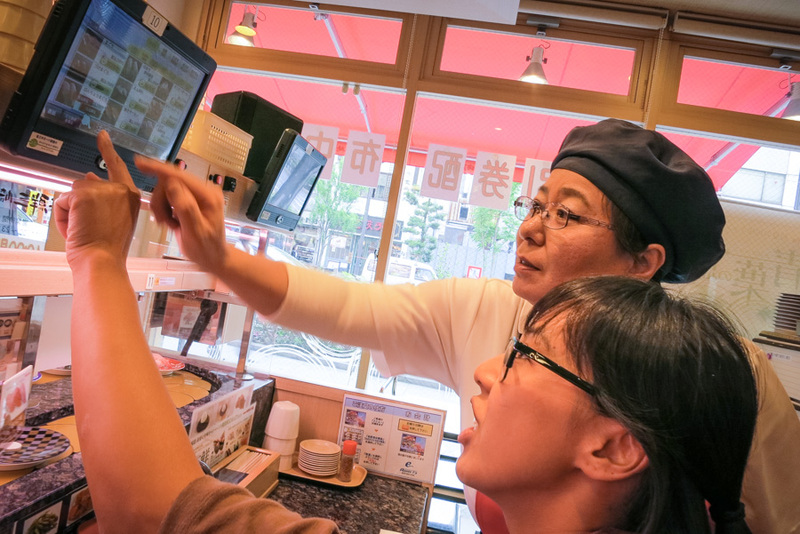 Is conveyor belt sushi smartly served at a push of a touchscreen button and delivered by mini-train straight to your seat in minutes. Tip: don’t mistake the green powder on the table as wasabi and added it to your soy sauce because it’s actually green tea powder for you to self serve — there is a hot water faucet table side in front of you. 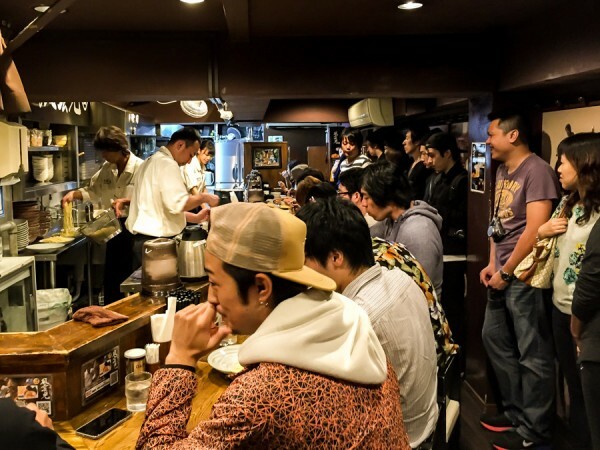 When in Tokyo, wake up at 4:00am, go see the tuna auction at Tsukiji fish market and get in line at Sushi Dai for the ultimate, omakase experience. It will by far change the way to view and eat sushi. We couldn’t get up in time for the auction but managed to get to Sushi Dai around 9, waited 3.5 hours before nabbing two of the twelve counter seats available. This place is an institution and quite possibly the best sushi we ever had… that is until now. 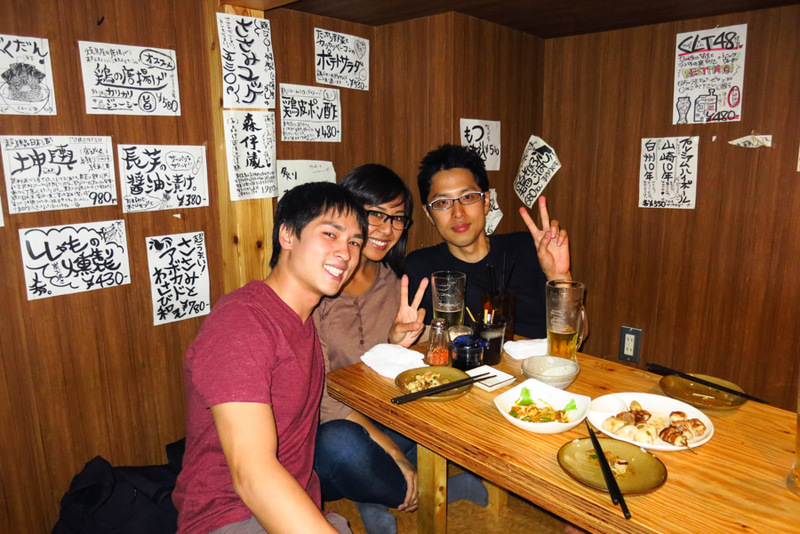 Sushi Sho Masa, in Roppongi is without a doubt, the best sushi — nay, the best meal we’ve had.. ever! This isn’t exactly the name of this local, hole-in-the-wall place our couchsurfing friend took us to, but the name’s in Japanese so here’s a link with pictures hoping it will help you find it too. This barbecue chicken skewer joint was such a treat and we ate chicken everything: from hearts to livers, gizzards and feet. But my personal favorite wasn’t any specific part, but rather the chicken itself served raw! 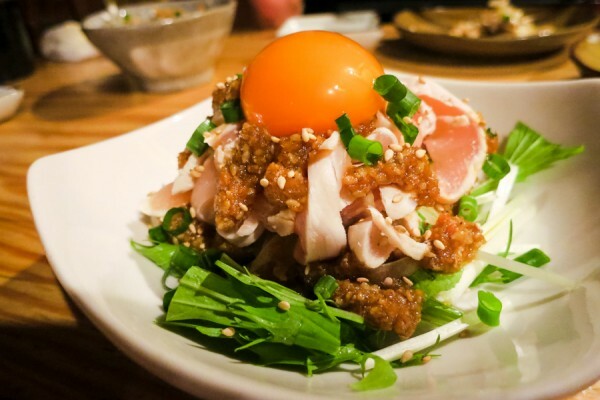 Tossed in a light salad with sesame miso dressing and topped with a raw egg yolk, it is one of the boldest dishes we’ve ever ate and Japan is probably the only place I’d trust trying raw chicken. 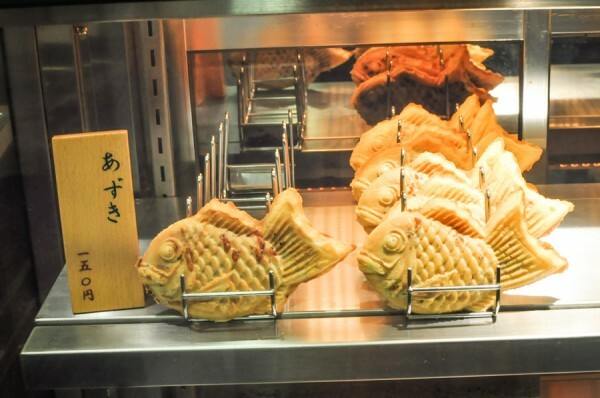 I never imagined tempura could be Michelin rated — only in Japan. This takes the art of battered fried veggies and shrimp to a whole other level. So famous, there was a television network filming while we were dining, it was both exhilarating and awkward at the same time. This was our last meal before we left Tokyo and utterly worth every penny. Unfortunately, Yoshihashi is now closed. 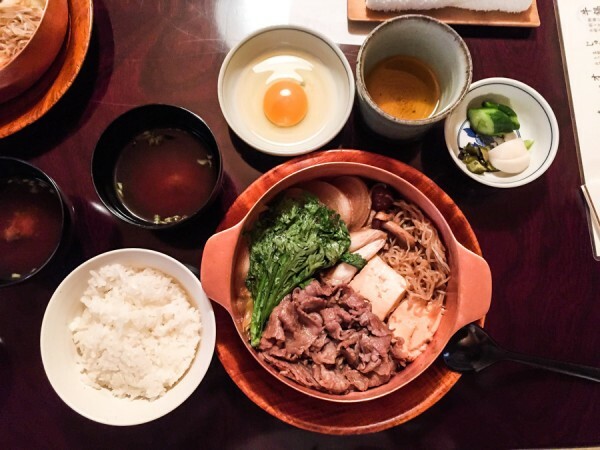 For Michelin sukiyaki at that won’t break the bank, you’ll want to make your way to Yoshihashi’s $25 sukiyaki lunch. We arrived about 15-minutes before they opened and managed to score a seat for two in the communal dining section next to the other tourists, they kind of sat us all in the same area, lol! I will say, while the food was excellent (omg that meat dipped in egg! ), it still doesn’t rival our first sukiyaki experience. I think it had to do with the style of preparation, cooked table side vs pre-made in a hot pot like below. Still, delicious! 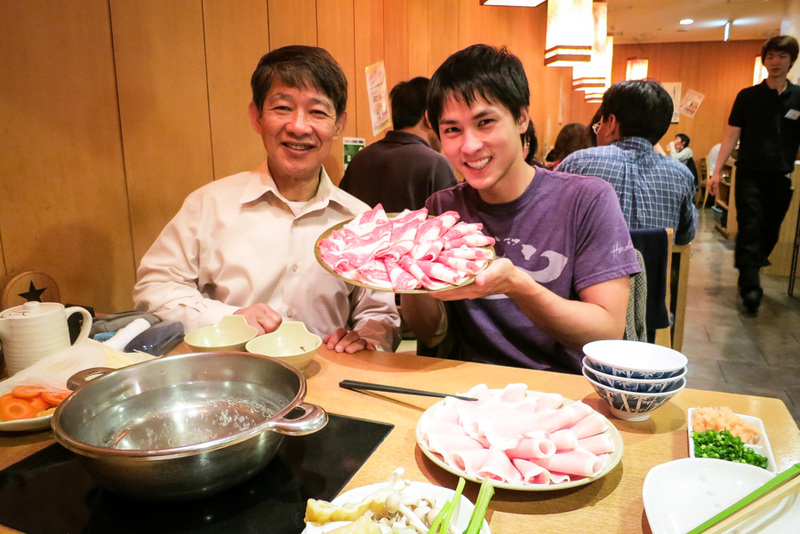 Shabu shabu makes all the difference when you can upgrade your meat and have all-you-can-eat. G’s uncle took us here back in 2012 and I just remember eating endless plates of meat and whatever veggies our hearts desired. 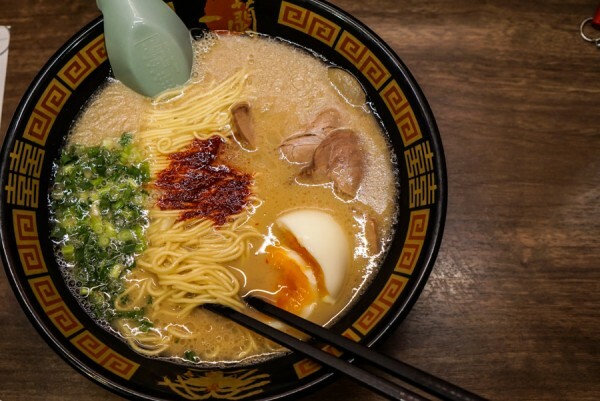 Best known for Tsukamen ramen, is also known as dipping noodles. It’s cold noodles dipped in warm pork belly and mushroom stock topped with seaweed, egg and and pork belly and house special fish powder. The broth is extremely rich and slightly salty. It’s the first time I heard G say, UMAMI, slurping his way through his and my portion of noodles. Ichiran is a ramen chain, we went to the one in Shibuya where you sit in booths, an interesting dining experience especially if you’re there with someone. G and I were separated by a mini-wall. I supposed this is meant for quick meals and solo diners. Anyway, this was so good, even chain ramen proves to outshine any ramen we’ve had back home. A late night skewers’ joint located underneath an overpass. Great for beers and cheap meat skewers like beef tongue, cartilage, heart and skin. There’s also veggie skewers and specialty tea, too. Yaiyoiken, chain restaurants all over town. 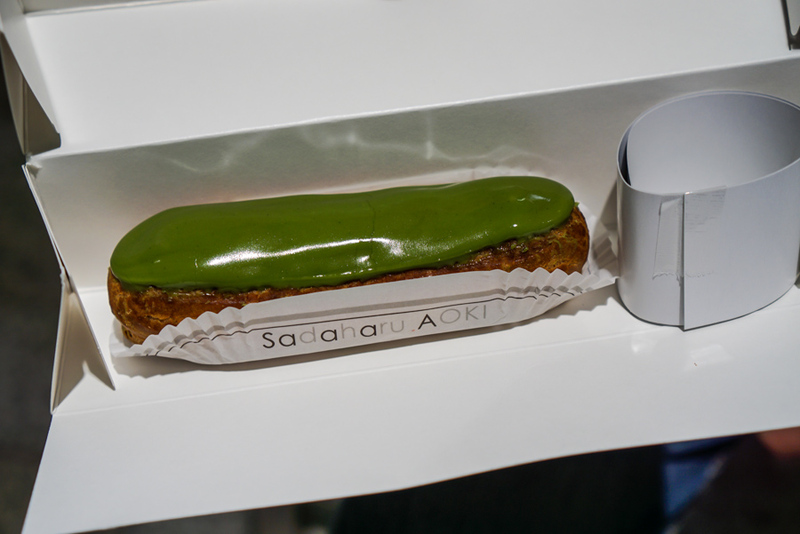 Is lunch ordered from a vending machine. There are many of these types of establishments throughout town and their one of the most affordable and filling meals. For anywhere from 500-800 yen, you can get an entrée such as pork katsu served with rice, soup, pickled sides and salad. G went on a sweet tooth binge and ate every sugar-y treat he could get his hands on: matcha eclair from Sadaharu Aoki, Hokkaido milk and melon soft serve ice cream, regular taiyaki with red bean filling and cream-filled croissant taiyaki, which was good though I don’t think it’s as spectacular as the hype it’s received. 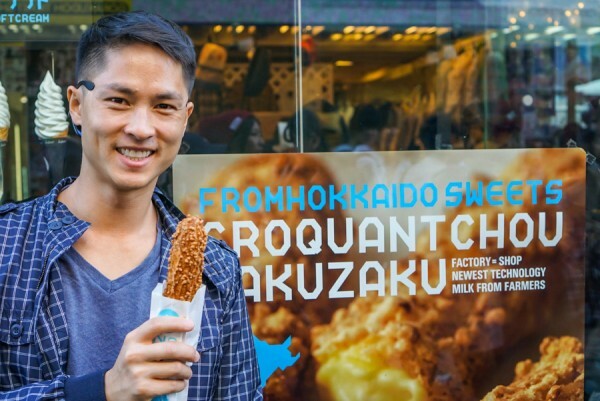 We also ate giant crepes in Harajuku and G’s absolute favorite, an unexpected delight, is the delicious almond cream filled stick called Croquant Chou from Zakuzaku in Harajuku. Among the many things to snack on in and around Asakusa, the savory Menchi — a deep fried, panko crusted and flattened meatball is easily the best. It’s juicy and meaty, crunchy and oh so satisfying especially after all that sugar overload. 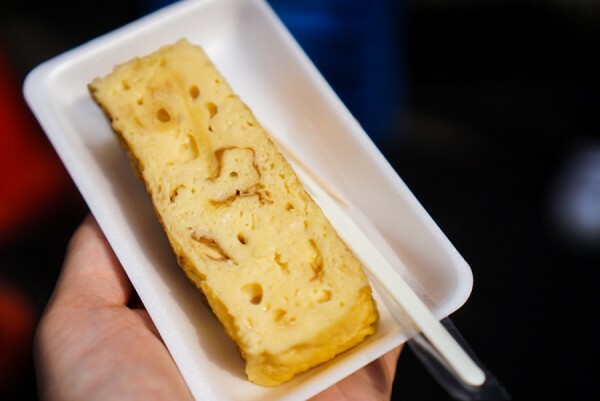 Another savory treat, a steamy slice of sweet tamago, you can find at the bustling streets of Tsukiji Market. Are SO CONVENIENT! 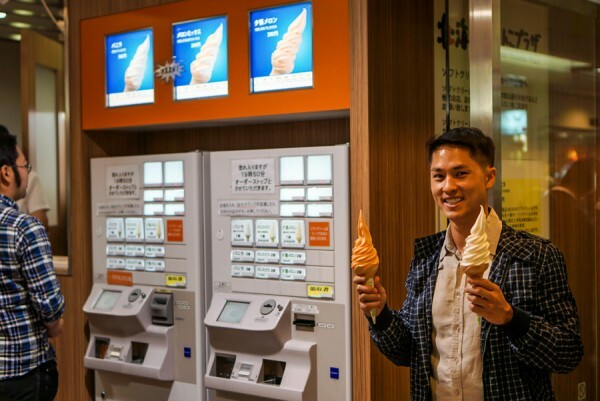 We have never been more excited to shop at 7-Eleven before until we arrived to Japan. 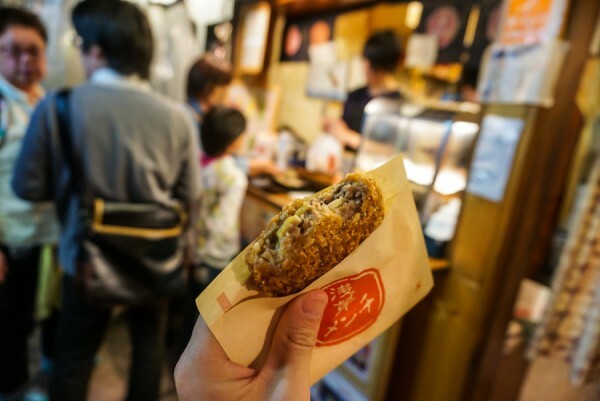 We frequent it once, sometimes twice a day for their breaded section for quick breakfast, their onigiri and bento boxes, hot katsu and random snacks and sake in a jar. 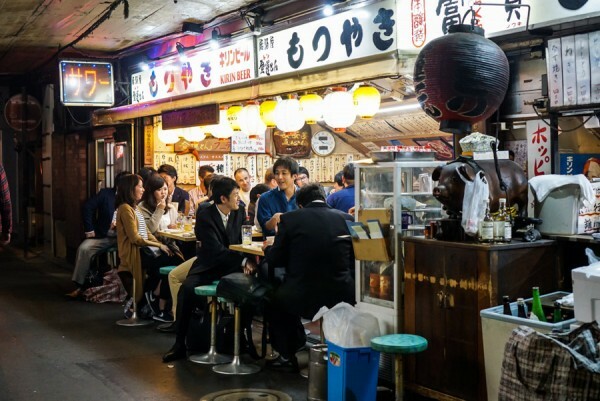 If you’re heading to Tokyo and want the ultimate food lover’s experience, check out Migrationology’s post appropriately titled: The Ultimate Tokyo Travel Guide for Food Lovers. It’s extremely resourceful and detailed and will have you drooling for more.. for sure. 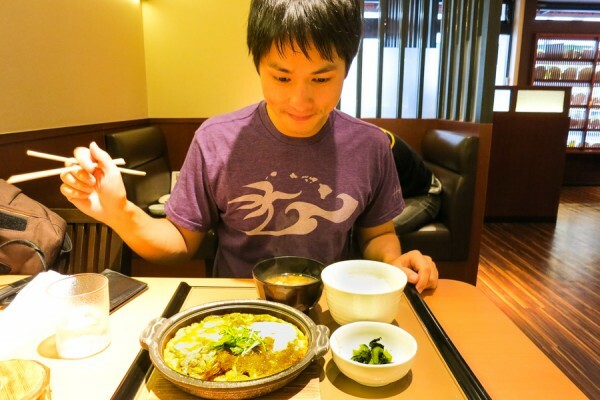 Got a food tip or restaurant recommendation for Tokyo? Share yours in the comments! 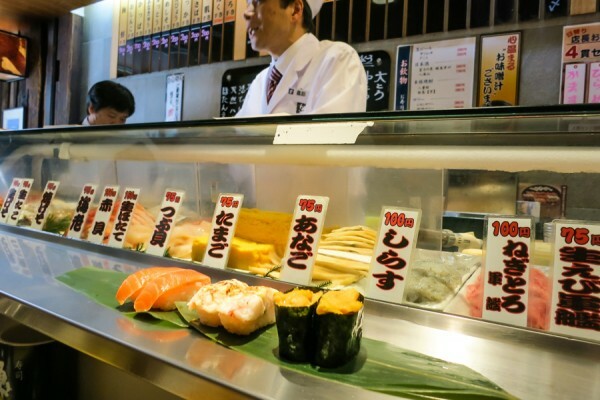 I need to get to Tokyo, if only for the sushi. To have it delivered by conveyor belt would make it a big hit with the kids! Your food posts are always so hunger-inducing! As a kid, there was a restaurant in Puerto Rico that delivered your food to your table by train – I loved the place but it closed early in my childhood! Japan. But it can be worth it. Oh my goodness! This all sounds so tasty!